Millions of Americans are celebrating July 4th today, and some are flying the flag far from home. 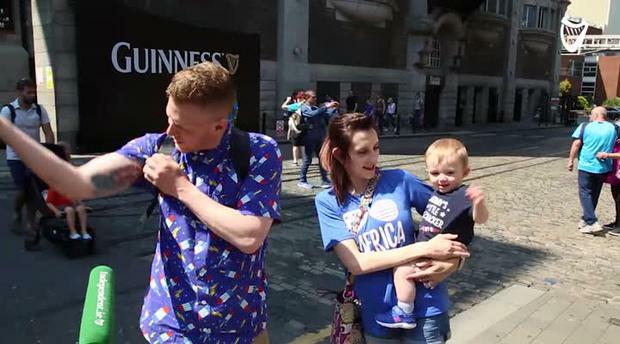 Independent.ie spoke to American tourists who were visiting the Guinness Storehouse today and asked them what July 4th means to them. “We appreciate all the people that fought for our Independence,” says Lisa Vazana, from Temecula, California. “I think it’s a good opportunity to take the time to think about the people that gave us freedom in the first place,” said Barbara Castle, also from Temecula, California. Alex Chandler and Manny Osaba are college students that are experiencing the 4th of July for the first time in Ireland. “It’s a really amazing holiday and we’re happy to experience it somewhere else,” says Chandler.